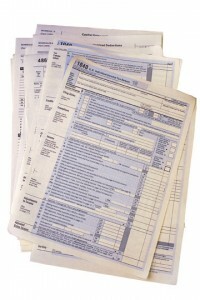 “For federal and California income tax purposes, if a loan is nonrecourse, meaning that the lender has no recourse against the borrower for any deficiency in satisfying the full amount of the indebtedness other than taking possession of the underlying property [the] borrower will be treated as having sold the property for the amount of the outstanding debt or the fair market value of the property, whichever is greater. Therefore, the borrower may have gain to the extent the outstanding debt or fair market value exceeds the borrower’s basis in the property. The FTB’s position is good news as the federal Mortgage Forgiveness Debt Relief Act of 2007 will expire at the end of this year and a similar protection offered by California expired in 2012. Although gains may be taxable, there is a $500,000 capital gains exclusion on principal residences for married filing jointly taxpayers and a $250,000 exclusion for single taxpayers. For the majority of taxpayers, the IRS’ and the FTB’s guidance should alleviate any potential Federal tax liability for California short sellers. As always, you should seek professional tax advice regarding the tax consequences for your particular short sale situation.